"Soundtrack To Life" is available NOW on iTunes, Google Play, Spotify, Amazon, Pandora, and EVERYWHERE you find your favorite music! ​​Hitchville has quickly solidified themselves among the upper echelon of regional talent. Under the leadership of dynamic lead vocalists Heidi Owens and Matthew Kneefe, the group’s trademark harmonies, down home personalities, and kinetic stage energy leads to an unforgettable live show in which the band has worked tirelessly to produce. The group’s brand new, highly anticipated sophomore album “Soundtrack to Life” is now available everywhere! It includes their first iHeartRadio #1 single “Even When It’s Bad It’s Good”, as well as their newly crowned 2nd iHeartRadio #1 single “Love is the Road” which climbed the iHeartMedia charts faster than ever. This project has been 4 years in the making, with songs written by some of Nashville’s biggest hit-makers. The band has also recently realized another big dream of theirs: to start their own country music and camping festival…and so it began! The First Annual Hitchville Hootenanny took place in August, 2015 with some of the region’s most sought after talent and was a resounding success! 2017’s Hootenanny finished up again with an award winning lineup and as many memories and there were country music fans in attendance. 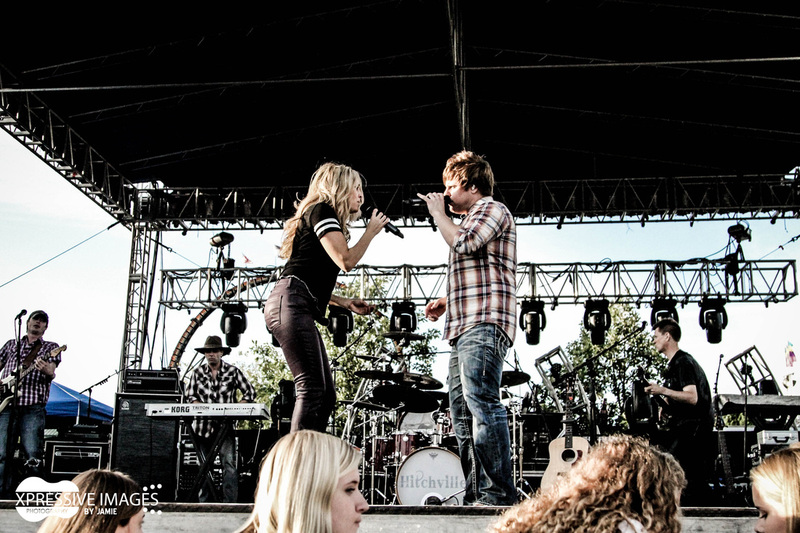 Over the past few years, fans have come to know to expect the unexpected at a Hitchville show. There’s really only one place where the beer is always cold, the people are always friendly, the music is always world class, and the energy is always palpable…they’d like to welcome everybody home… to Hitchville. Visit the Merch Store HERE!! The 3rd Annual Hitchville Hootenanny was July 28th & 29th! ​Check out www.hitchvillehootenanny.com for more information!